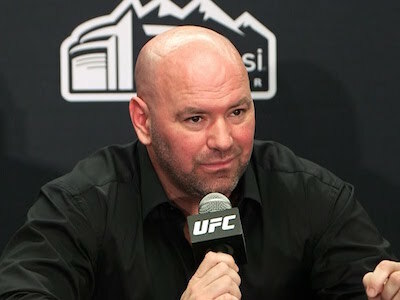 It is not a secret that UFC president Dana White was unhappy with the stoppage in the flyweight title fight between TJ Dillashaw and champ Henry Cejudo. It appeared that TJ was still fighting when the ref stepped in to wave it off which left some scratching their heads. Still, it is what it is and Cejudo got the quick KO. Dana also seemed to be interested in making Cowboy Cerrone vs Conor McGregor if they can get everything in order. With Cerrone back at lightweight and the pair of them exchanging challenges and acceptances on social media we would guess this will get the green light. Check out what he told ESPN’s Brett Okamoto.